Following this, Lenny Henry will also make his Donmar debut as Arturo Ui, in Bertolt Brecht’s satirical masterpiece The Resistible Rise of Arturo Ui, given a new translation by Bruce Norris and directed by Simon Evans. The Donmar will continue its YOUNG+FREE ticket scheme into 2017, after a successful launch during the Donmar’s Shakespeare Trilogy at King’s Cross this autumn. The scheme will offer free tickets to those 25 and under, every night across the spring season. YOUNG+FREE is made possible by the generosity of the public through PAY IT FORWARD. In addition, to ensure constant affordable access to the Donmar for everyone, tickets from £10 will be released every Monday at 10am during each production's run. Today, the Donmar Warehouse, Clean Break theatre company and York St John’s University’s Prison Partnership Project receive The Longford Prize for work carried out over the last 4 years in women’s prisons and the Donmar’s all-female Shakespeare Trilogy. The Longford Prize recognises the contribution of an individual, group or organisation working in the area of penal or social reform in showing outstanding qualities in the following areas: humanity, courage, persistence and originality. 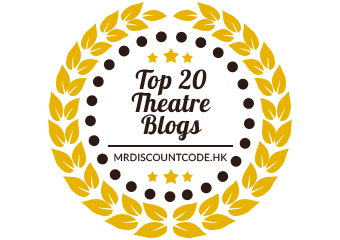 It is awarded annually by a prize committee on behalf of the trustees and patrons of the Longford Trust. From 2016, the prize winner will receive £5,000, thanks to sponsorship from The McGrath Charitable Trust, founded by Kevin and Kate McGrath. The awards' ceremony takes place as part of the annual Longford Lecture on Wednesday 16 November. The Longford Prize is organised in association with The Prison Reform Trust, for more information visit www.longfordtrust.org. We are excited to be bringing together great artists to present three productions which we hope will provoke valuable conversations and inspire our audiences. Ensuring that young people can access this work is critical to our mission, so we are pleased to be making YOUNG+FREE tickets generally available across this season, as well as making all schools' tickets free as part of the scheme. The initiative is a gift to young theatre-goers and a celebration of the ability of theatre to empower and inspire. YOUNG+FREE is made possible by the generosity of the public through PAY IT FORWARD. We have been delighted by the support for PAY IT FORWARD from our audiences and are excited to be working with them to prioritise young people's access to the arts. We are also grateful to the significant support we receive from corporate partners, individual philanthropists and the Arts Council which makes the Donmar's work, both on our stage and beyond, possible. This autumn, the Donmar Warehouse continues to stage productions in three locations – its home in Covent Garden, Donmar at King’s Cross, and in New York. Currently on the mainstage at the Donmar Warehouse is Kwame Kwei-Armah’s new production of Kemp Powers’ compelling play One Night in Miami... A fictional account of a real night in 1964, the play imagines a 22-year-old Cassius Clay, fresh from his world heavyweight boxing title win, choosing to celebrate with his three closest friends. The production runs until 3 December. Following this, Artistic Director Josie Rourke revives Bernard Shaw’s seminal play Saint Joan. Gemma Arterton will play Shaw’s central character. The production will run from 9 December 2016 – 18 February 2017, and will be broadcast live, in partnership with National Theatre Live, to cinemas around the world, directly from the Donmar Warehouse on Thursday 16 February 2017. The Donmar at King’s Cross season continues with the Donmar Shakespeare Trilogy. Directed by Phyllida Lloyd and starring Harriet Walter in an all-female company. Revivals of the sell-out Julius Caesar andHenry IV join a new production of The Tempest playing in repertory until 17 December 2016, all set in a women’s prison. On special Donmar Shakespeare Trilogy days, all three plays will be performed back to back. The Donmar Shakespeare Trilogy opens on Tuesday 22 November. The Donmar New York Season continues this autumn with Artistic Director Josie Rourke’s Broadway transfer of Christopher Hampton’s Les Liaisons Dangereuses starring Janet McTeer and Liev Schreiber at The Booth Theatre. The Tempest, starring Harriet Walter and directed by Phyllida Lloyd, transfers to New York’s St. Ann’s Warehouse in January 2017. Why Can’t We Live Together? (Menagerie Theatre Company/UK Tour/Soho Theatre/Theatre 503), Europa co-authored (Birmingham Rep/Dresden Staatspielhouse/Teater Polski/Zagreb Youth Theatre), Ignorance/Jahiliyyah, English Journeys and After the Gods (Hampstead), Capernaum in Sixty-Six Books, Little Platoons, The Contingency Plan and In a Vulnerable Place (Bush), Amphibians (Bridewell), Out of Your Knowledge (Menagerie Theatre), Fast Labour (Hampstead/West Yorkshire Playhouse) and Habitats (Gate and Tron Theatre Glasgow). For radio, Steve has written Scribblers, Bretton Woods and The Contingency Plan for BBC Radio 3 and Deep Swimmer, The Air Gap, Little Platoons, Morning, The Parliament of Rooks and The Moderniser for BBC Radio 4. For the screen, Steve has written The Contingency Plan; Safe House. Steve is the author of The Secret Life of Plays. Polly Findlay (Director) makes her directing debut at the Donmar Warehouse with Limehouse. Polly was the joint winner (with Derren Brown) of the 2012 Olivier Award for Best Entertainment for DERREN BROWN: SVENGALI. She won the JMK Award for Young Directors in 2007, and was awarded the 2006/7 Bulldog Princeps Bursary at the NT Studio. Directing credits include Ghosts (HOME Manchester) The Alchemist (RSC and The Barbican), As You Like It (National Theatre), Frǿken Julie (Aarhus Theatre, Denmark), The Merchant of Venice (RSC), Treasure Island (National Theatre), Krapp’s Last Tape (Sheffield Crucible), Arden of Faversham (RSC), Protest Song (The Shed, National Theatre), Gefährten/Warhorse (National Theatre/Theater des Westens, Berlin), A Taste of Honey (Sheffield Crucible), The Country Wife(Royal Exchange, Manchester), Antigone (National Theatre), Good (Royal Exchange Theatre), The Swanand Nightwatchman (Double Feature - National Theatre, Paintframe), Twisted Tales (Lyric Hammersmith), Honest (Royal & Derngate and Milnes Bar, Edinburgh, 2011), Light Shining in Buckinghamshire and Thyestes (Arcola Theatre), Eigengrau (Bush Theatre), and Romeo and Juliet (BAC). Paul Chahidi (Bill Rodgers) returns to the Donmar after appearing in The Vote and Privacy. His theatre credits include As You Like It (National Theatre), Shakespeare in Love (Noel Coward Theatre), Twelfth Night (Globe/Apollo Theatre/NY), as well as numerous credits for the Royal Court, RSC, National, Young Vic and West End. Paul is also an RSC Associate Artist. His extensive film credits include The Death of Stalin, This Beautiful Fantastic, Undisputed, Love is Thicker Than Water, The Voices, Venus, The Libertine,and Notting Hill. Television credits include And Then There Were None, Chad, This Country of Ours, Maigret, Him & Her, The Tunnel, What Remains, The Hour and Holy Flying Circus. Debra Gillett (Shirley Williams) makes her Donmar Warehouse debut in Limehouse. Her theatre credits include Young Chekhov: The Seagull (National Theatre), Young Chekhov: Ivanov (National Theatre), Three Days in the Country (National Theatre), A Small Family Business (National Theatre), Tartuffe (Royal National Theatre), The Recruiting Officer (Chichester Festival Theatre), as well as numerous other credits for the RSC, Glasgow Citizens Theatre and the Royal National Theatre. Film credits include Bridget Jones’s Baby, Pride and Prejudice and Zombies, Notes on a Scandal, Breathtaking, A Nice Arrangement and The Witches. Debra’s television credits include Call The Midwife, Cranford Chronicles, Dr Who, Spooks, and Cold Feet. Brecht’s satirical masterpiece about the rise of a demagogue will be given a new translation by Pulitzer, Olivier and Tony Award-winning American playwright, Bruce Norris. Lenny Henry makes his Donmar debut as Arturo Ui. Bruce Norris (Translator) is the author of the Clybourne Park, which won the Olivier and Evening Standard Awards (London) for Best Play, 2010, as well as the Pulitzer Prize for Drama, 2011, and the Tony Award for Best Play in 2012. 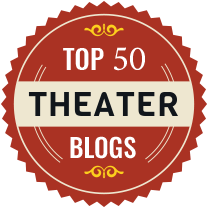 Other plays include The Infidel (2000), Purple Heart (2002), We All Went Down to Amsterdam (2003), The Pain and the Itch (2004), The Unmentionables (2006) and The Qualms (2014), all of which had their premieres at Steppenwolf Theatre, Chicago. Recent productions include The Low Road (2013 at the Royal Court Theatre (London), Domesticated (2013 at Lincoln Center Theatre), and The Qualms at Playwrights Horizons in 2015. He lives in New York. Simon Evans (Director) was Resident Assistant Director at the Donmar Warehouse working on Richard II, Inadmissible Evidence, Anna Christie, Luise Miller, Moonlight and 25th Annual Putnam County Spelling Bee. He directed Silence of the Sea the Donmar at Trafalgar Studios Season. He was Staff Director at the Royal National Theatre, Creative Associate at the Bush Theatre and Associate Director at the White Bear Theatre. He is Creative Director of Myriad & Co. As Director, his work includes The Dazzle, Bug and Fool for Love (Found111), Alligators (Hampstead), A Midsummer Night’s Dream (Go People/Soutwark Playhouse), Almost Mine (Park Theatre), The Vanishing Man (Vaults and UK Tour), Hannah (Unicorn), Speed Twins, Apple Pie and Hours Till Autumn (Riverside Studio), Rubber Room (Old Vic), Madness in Valencia (Trafalgar Studios) and Skyscraper (Public, New York). As Associate Director his work includes The Duchess of Malfi (Old Vic) and Finding Neverland (Weinstein Live Entertainment). 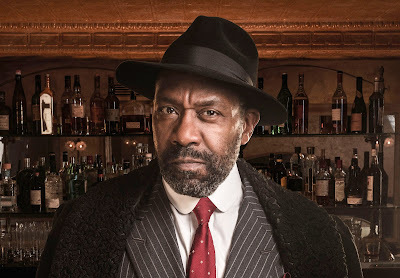 Lenny Henry (Arturo Ui) makes his Donmar Warehouse debut in The Resistible Rise of Arturo Ui. He made his West End acting debut in the role of Othello in the Northern Broadsides production at the Trafalgar Studios. His portrayal won him critical acclaim and the London Evening Standard Theatre Award for Best Newcomer. Other theatre includes Fences (on tour and West End), Rudy’s Rare Records, (the Birmingham Rep and Hackney Empire) and The Comedy of Errors (National Theatre). Lenny has been a comedian since the age of 16, finding fame as a comedy impressionist on 70’s TV talent show, New Faces. Other television work includes TISWAS, Three of a Kind, The Lenny Henry Show, Hope & Glory, Lenny Henry in Pieces, Chef! and the Saturday night BBC1 show, The Magicians. He has completed many sell-out live stand-up tours in the UK, Australia and New Zealand. On radio, Lenny worked for three years as a DJ on BBC Radio 1. He has also worked extensively for Radio 4, starring in the comedy Rudy’s Rare Records, he wrote the Radio 4 play Corinne Come Back and Gone and presented the series Lenny and Will. “The objective of this session is not to conduct a show trial. Tom Deering (Composer) makes his Donmar Warehouse debut as composer for The Public Administration and Constitutional Affairs Committee Takes Oral Evidence on Whitehall’s Relationship with Kids Company.His recent theatre work as Music Supervisor includes The Grinning Man (Bristol Old Vic), Jesus Christ Superstar (Regents Park), and the Oliver Award winning In the Heights (King’s Cross Theatre). He was named as an Associate of the Royal Academy of Music in the 2016 honours list. Hadley Fraser (Book and lyrics) returns to the Donmar having appeared in James Graham’s play for stage and television The Vote, and Josie Rourke’s productions of Saint Joan, City of Angels and Coriolanus. He also appeared in The Machine, also directed by Rourke, for the Donmar co-production with the Manchester International Festival and Park Avenue Armory, New York. His recent theatre credits include A Long Days Journey into Night (Bristol Old Vic), as well as The Winter’s Tale and Harlequinade (The Kenneth Branagh Company at the Garrick Theatre). He has played Marius and, later, Javert in the West End production of Les Misérables and appeared in Tom Hooper’s acclaimed film adaptation. In 2012, Fraser played Raoul in the 25th Anniversary Concert of The Phantom of the Opera, which was broadcast around the world. Other theatre credits include The Pajama Game (Chichester Festival Theatre), The Fantasticks(Duchess Theatre) and Assassins (Sheffield Crucible). For TV he has recently starred in Decline and Fall for the BBC and Him for ITV. Film credits include The Legend of Tarzan. Together with Ramin Karimloo, he writes, records and performs music as SHEYTOONS and recently released his first solo recording Just Let Go. Fraser is a patron of the Performance Preparation Academy in Guildford and is an Fellow of the Royal Academy of Music. Josie Rourke (Book and lyrics) is the Artistic Director of the Donmar Warehouse where she is currently directing Saint Joan. For the Donmar Josie’s productions include the world premiere of Nick Payne’s new play Elegy; Les Liaisons Dangereuses, which was broadcast live in cinemas around the world in partnership with National Theatre Live, nominated for the Olivier Award for Best Revival and is currently running at the Booth Theatre, New York, until January 2017; The Vote, which was broadcast live nationwide on television on the night of the 2015 UK election to an audience of half a million and nominated for a BAFTA; City of Angels, which received the Olivier Award for Best Musical Revival; Privacy, a new play created by James Graham and Josie Rourke; Coriolanus, which was broadcast live in cinemas in partnership with National Theatre Live and for which Tom Hiddleston won the Evening Standard Award for Best Actor; The Weir, which transferred to Wyndham’s Theatre; The Machine at Manchester International Festival and at Park Avenue Armory, New York; Berenice; The Physicists; The Recruiting Officer; Frame 312; World Music; and The Cryptogram. A new production of Privacy, written by James Graham and created by James Graham and Josie Rourke, featuring Daniel Radcliffe, played at The Public Theater, New York this summer. Her additional theatre credits include Much Ado About Nothing at Wyndham’s Theatre, nominated for the Olivier Award for Best Revival; Men Should Weep at the National Theatre; Twelfth Night at Chicago Shakespeare; Crazyblackmuthafuckin’self, Loyal Women at the Royal Court; King John at the Royal Shakespeare Company; and The Long and the Short and the Tall and Kick for Touch at Sheffield Theatres. Rourke was previously Artistic Director of the Bush Theatre, which was named Theatre of the Year under her leadership. At the Bush Theatre, her credits include the premiere ofIf There Is I Haven’t Found it Yet by Nick Payne. Adam Penford (Director) makes his Donmar Warehouse debut as director for The Public Administration and Constitutional Affairs Committee Takes Oral Evidence on Whitehall’s Relationship with Kids Company. He has recently been appointed Artistic Director of the Nottingham Playhouse. He was Revival Director on One Man Two Guvnors (West End/ NY and Tour) and Associate Director of the NT 50th Anniversary Gala(NT and BBC). His theatre credits include The Boys in the Band (Park Theatre and UK Tour); A Small Family Business, Is There Wi-Fi in Heaven and Island (National Theatre), Platinum (Hampstead) and Unfaithful (Found111). Other theatre credits include Watership Down (Watermill Theatre), Deathtrap (Salisbury Playhouse), Ghost The Musical (ETF), Stepping Out (Salisbury Playhouse), The Machine Gunners and Run! 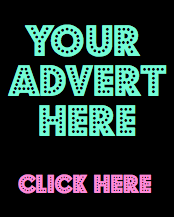 (Polka Theatre), The Hostage (Southwark Playhouse), Young Woody and Tea and Sympathy (Finborough Theatre). Visit stannswarehouse.org for more information.